Physicians from around the world are invited to submit their most challenging valvular and structural heart disease cases. The directors of TVT review each submitted case and the best will be selected for presentation. 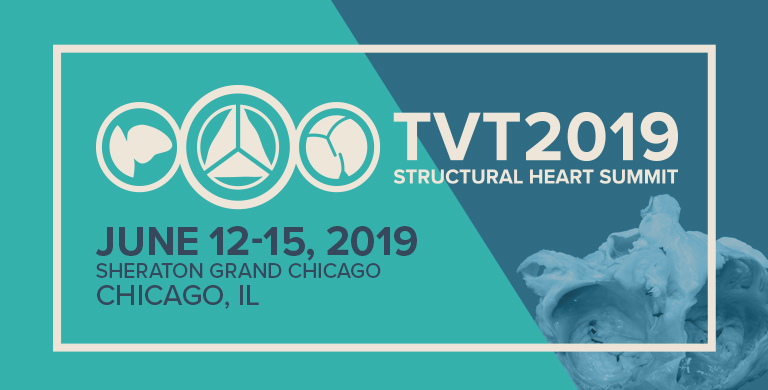 We encourage you to submit your emerging innovative concepts to be presented at TVT 2019, the preeminent platform for unveiling new technological developments in the field of transcatheter valve therapies, LAA & PFO closure, and other structural heart disease therapies. Submissions should be novel technologies, relevant to the monitoring, diagnosis, and treatment of valvular heart disease and interventions. Top submissions will be featured presentations in our special Innovation Forum. Selected topics will also be featured in additional sessions or as Moderated Poster Abstracts. Submit abstracts that address valvular disease or transcatheter valve interventions, LAA or PFO closure, or other structural heart disease diagnostic modalities or therapies. Entries should constitute original research. but may include portions of prior abstracts and/or manuscripts presented elsewhere. Clinical studies, basic science investigation, and preclinical studies are equally encouraged. There will be a large screen that will display your presentation to moderators and attendees. The final presentation must be a PowerPoint file consisting of 5-10 slides. NO PDF or JPEG files can be accommodated – no exceptions. Late-Breaking Clinical Science submissions should be the first-time presentations of either 1) the primary endpoint or major secondary endpoint results of randomized clinical trials or registries; 2) insightful meta-analysis that may impact clinical practice; 3) early human clinical experiences with novel devices. These submissions may also be submitted as Abstracts or as Interventional Innovations. Presentations of accepted Late-Breaking Clinical Science prior to TVT are strictly embargoed. Accepted Late-Breaking Clinical Science submissions will be presented at TVT 2019. We also wish to extend an invitation to submit the final version of your work to the Structural Heart: The Journal of the Heart Team, the official journal of the Cardiovascular Research Foundation. We will give your submission expedited review; and if accepted, simultaneous publication timed with your presentation at TVT. We will also offer support including press and social media promotion. For more information, contact Glenn Collins (gcollins@crf.org).